Please pick two thread colors. Unless a preference is specified, I will match the mat to one of the colors. 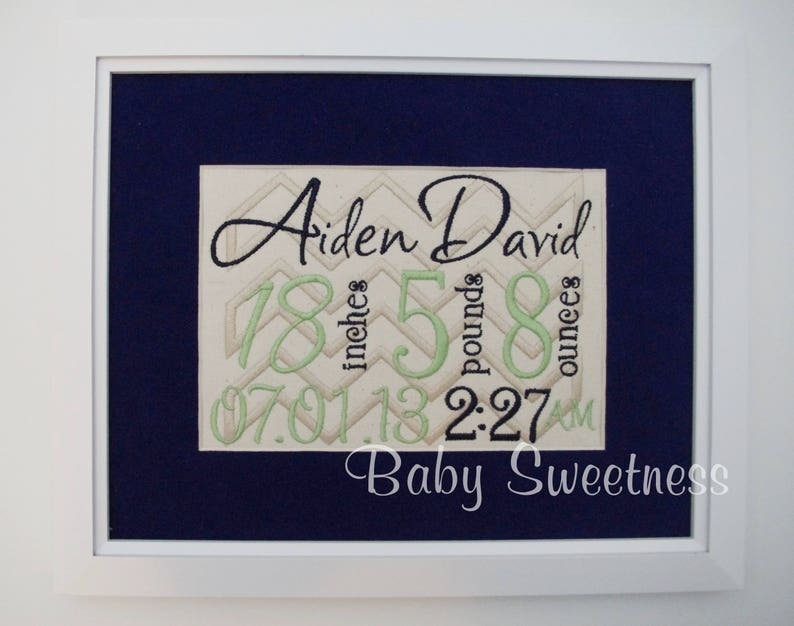 This design features a chevron embroidered in the background in canvas-colored thread.